In order to fulfill the ever-evolving demands of our esteemed clients, we are engaged in providing an optimum quality array of JCB Grease Seal. 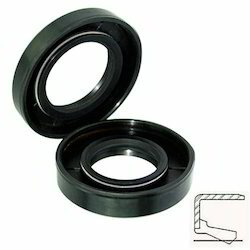 - Grease Seals feature precision sealing designs that are matched to many original equipment or aftermarket applications. - Grease Seals help ensure consistent and reliable performance. We have marked a remarkable position in the market by offering the best quality array of Rubber Grease Seal. Our presented range of NDE Outer Grease Seal is broadly employed in the market for their durable nature. Due to their top features, these are enormously demanded in the market. Aimed at prosperous growth in this domain, we are instrumental in manufacturing an excellent quality range of Grease Gun Seals. The SEPCO® CGS is a single, cartridge mounted mechanical seal that can be used to replace double seals without using a water flush. The unique feature of the Cartridge Grease Seal is a grease barrier cavity to prevent product leakage to the atmosphere without elaborate environmental controls. 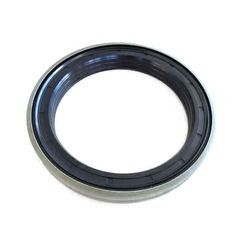 We are involved in offering a wide range of Grease Oil Seal. The primary function of this product is to retain the bearing lubricant and, secondarily, to enhance the performance and life of the bearing by minimizing dirt, oil and water ingress that results in damage and premature failure of the bearing and other components.